First time for everything on the Back of the Ferry. We’d just passed by Fort Denison when one of the lads spotted a drone. Came right over the Back of the Ferry and had a good look at us as we had a good look at it. It really moved and zipped off towards Kirribilli. Can’t imagine it’ll be the last time. As we cruised past Dobroyd an all too rare event occurred. A seal frolicked off the port stern. Came up a few times. Wonder if it is the one that visits the Opera House. First visit to Harts for 2016. 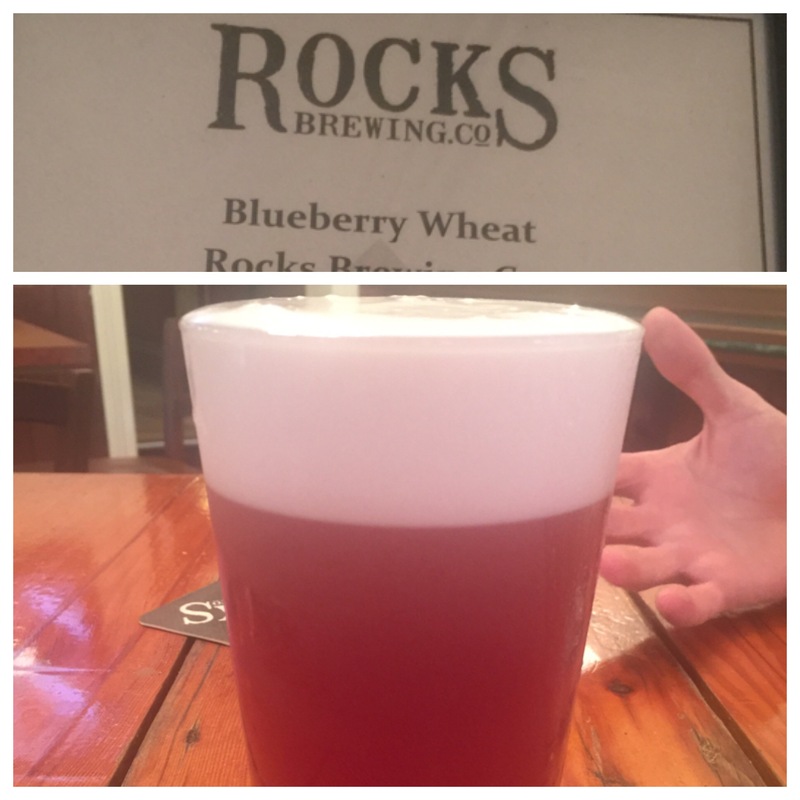 Rocks Brewing have just launched a Blueberry Wheat beer. Not just in kegs, but in bottles as well. So many fruit beers at the moment. Great colour and very drinkable. Happy Australia Day for tomorrow. 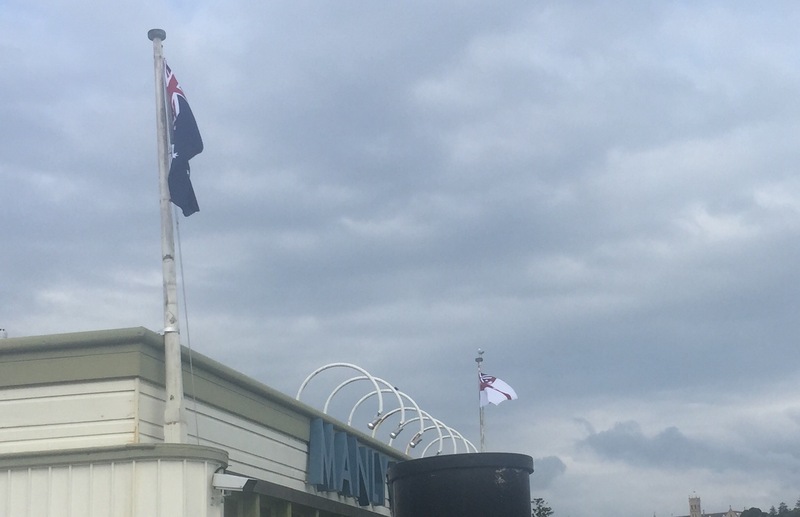 Great to see the Manly Wharf freshen up its flags for the occasion. Need to get one of those Sydney Flags for the Cantina.